The Summer 2012 issue of Furore features a wonderful seventy-five page dossier on the places and objects of Albert Lamorisse’s 1956 film Le Ballon rouge. 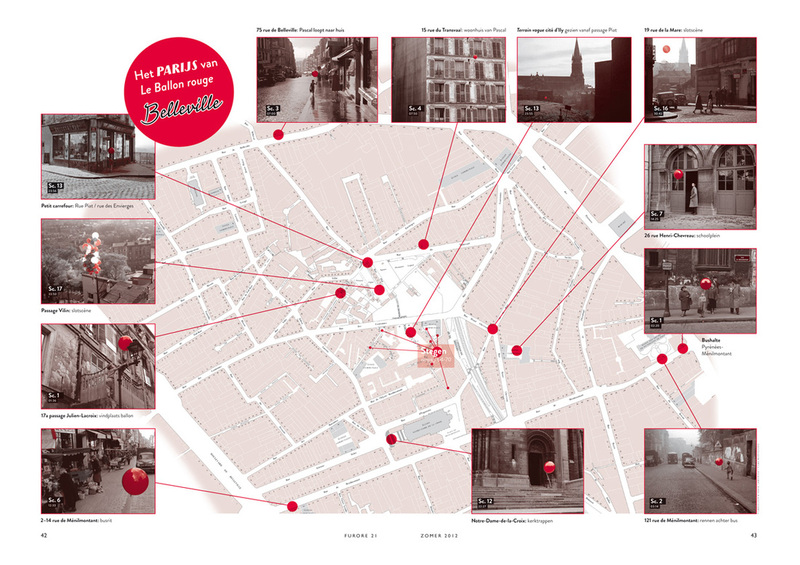 Over many years Piet Schreuders has painstakingly researched and documented the locations of the film, largely Belleville and Ménilmontant. The result is a cine-tourist’s dream, with all the maps and addresses needed to visit now what is left of the film’s Paris, and a vast assemblage of photographs and commentary delineating what of that Paris is now gone (e.g. here). Schreuders has rediscovered the film’s places in other films, going back as far as Kirsanoff’s 1926 Ménilmontant, and in the work of Paris photographers, from Ilya Ehrenburg in 1933 to the highpoint of the area’s attraction for the likes of Willy Ronis and Henri Guérard in the 1950s. Around this Schreuders has recovered and reconstructed the design world in which the film circulated, reproducing advertise-ments seen in the film and comments on the film from contemporary magazines and newspapers. 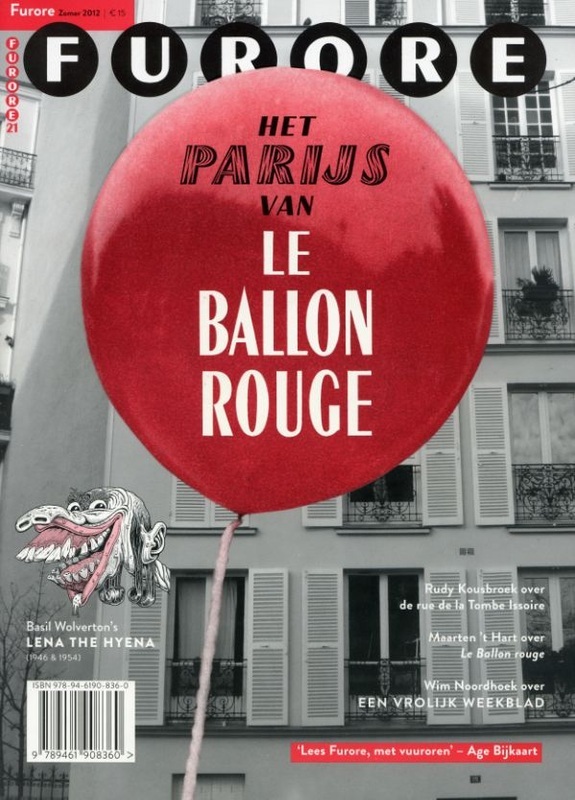 On Monday April 9 at 17.00 Piet Schreuders gave an illustrated talk to introduce a screening of Le Ballon Rouge at the newly opened Filmmuseum (Eye Film Institute) in Amsterdam. For details see here. An accompanying blog supplements the magazine, here, and there are sample pages and related images here.